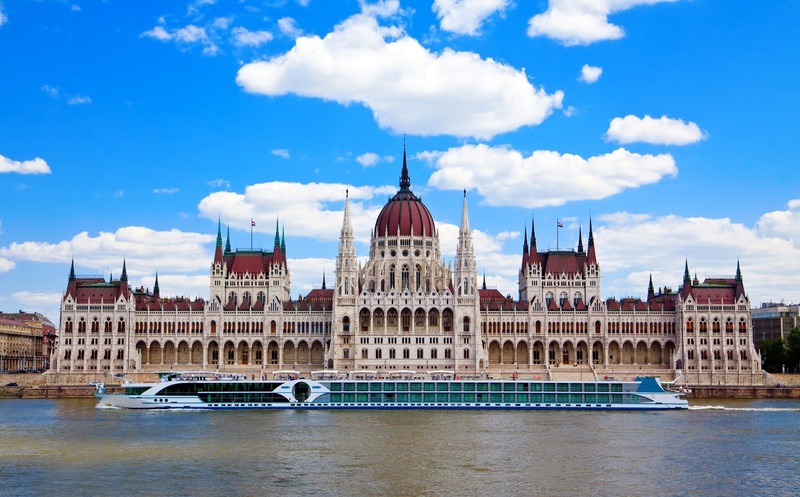 The Hungarian Parliament Building is just ONE of many sights you'll see when you embark on your river-cruise journey! All photography is the property of EuroTravelogue™ unless noted. Have you ever dreamt of drifting down scenic European waterways while magnificent castles, storybook villages and pastoral countrysides pass you by? How about docking at the city's front door just a few steps from the city centre that promises an unforgettable cultural immersion in centuries-old surroundings? When you consider visiting multiple European cities in a single trip, do you find the thought of having to pack and unpack and pack and unpack a little daunting? What about hopping from train to train to train to squeeze it all into your trip of a lifetime? While that can be certainly one of the most romantic ways to travel through Europe, something I can personally attest to, visiting all of these European destinations from the convenience of your river-cruise vessel holds a certain appeal—moving from place to place and reveling in the journey along the way! 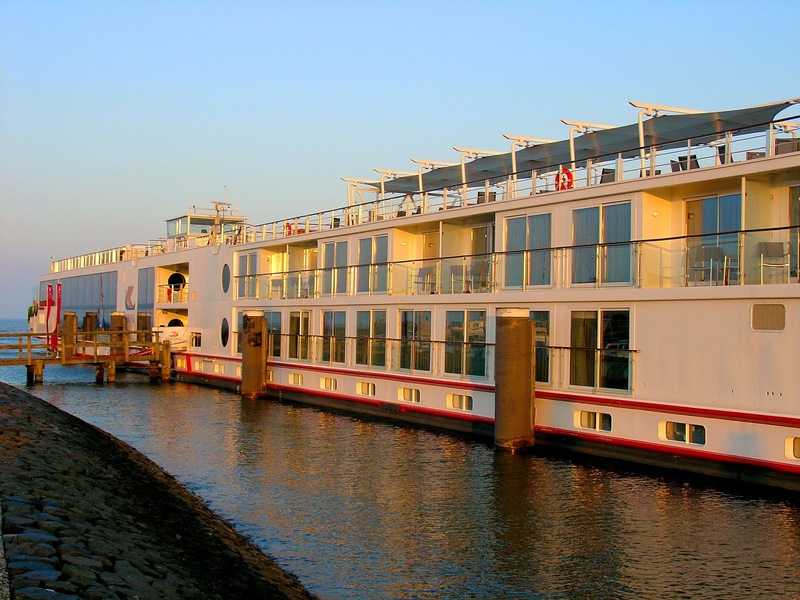 Welcome to European river cruising and once you embark, you may never look back! Isn't it time you embarked on your dream of exploration to discover new places, historical treasures and most of all, the people of distant lands? What can you expect to see? Let me show you! The Viking Odin in Volendam at sunset. Buda Castle in Hungary. Photo: Wikimedia.org. By far, the Danube is one of the most popular if not THE most popular route that many of the big river cruise companies offer in their exciting European holidays because it's Europe's longest river and with that, the opportunities to explore multiple countries in a single week, and imagine even more with two. Beginning in the Black Forest in Germany, the mighty Danube—1,785 miles long—winds through Germany, Austria, Slovakia, Hungary, Romania, Ukraine and still more, before emptying into the Black Sea. The list of sights and opportunities is endless and will send you reeling when you think of experiencing the history, art, architecture and culture through the cities' fascinating landmarks, bustling centers of diverse cultures, vast art collections spanning a thousand years and making new friends! Imagine seeing the Melk Abbey, the hills alive with "The Sound of Music," the home of Wolfgang Mozart not to mention the Schönbrunn and Hofburg Palaces in Austria; Saint Martin's Cathedral and the Bratislava Castle in Slovakia; Buda Castle in Hungary; all in the span of a week! Austria's Melk Abbey, yet another stop along your European river cruise. Photo: WikiMedia.org. Cologne, Germany, and its mighty cathedral or Dom in the background. 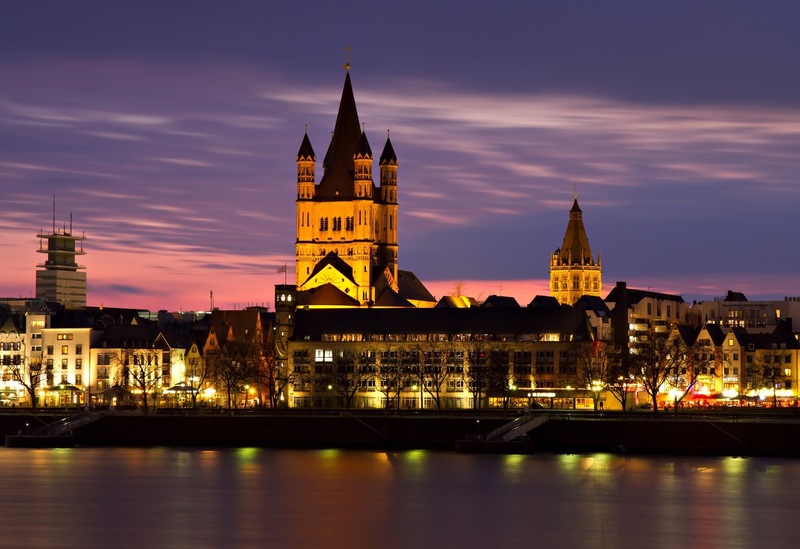 Coming in second are scenic passages along the Rhine River offering some of Europe's most spectacular vistas: soaring mountains, magnificent castles and enchanting storybook villages. The Rhine flows for 785 miles from the Swiss Alps near Basel; through Germany's Black Forest area with visits to Breisach to see the St. Stephansmünster cathedral; France's Alsatian city of Strasbourg and its cathedral and the storybook La Petite France; Heidelberg and Germany's oldest university; Speyer's Imperial Cathedral Basilica of the Assumption and Saint Stephen; Koblenz's Marksburg Castle; Rüdesheim's 1,000-year-old Broemser Castle and the Drosselgasse; a stop in Köln or Cologne to see its remarkable Gothic cathedral—the Dom; Kinderdijk in the Netherlands and the 16th- to 18th-century windmills; and finally ending in one of my favorite cities in the world—Amsterdam—from its timeless canals and uniquely Dutch architecture to the Anne Frank House, "coffee houses," and the infamous Red-Light District. Again, all of this in the span of one week! The magnificent Dom in Cologne, Germany. The idyllic countryside along the Moselle River in Germany. If pastoral settings of vineyard-covered hillsides, magnificent castles and cathedrals and the heart of Bavaria's medieval villages appeal to you, then perhaps it's a cruise along the Moselle River that flows 350 miles from France through Luxembourg and ending in Germany. Some of the sights you can expect along the way include Germany's oldest city—Trier with its Cathedral of Saint Peter with roots that date back to 326 AD, and the almost 2,000-year-old Roman Porta Nigra; Bernkastel's enchanting half-timbered village town square, the Palace of the Grand Duke and the WW II Memorial; the Baroque town of Cochem and its 1,000-year-old Reichsburg Castle, the Schlagkamp Wine Museum with wine tasting of course. All of this and more along the Moselle River and yes, in just one week. The Reichsburg Castle in Germany's Cochem. Photo: WikiMedia.org. 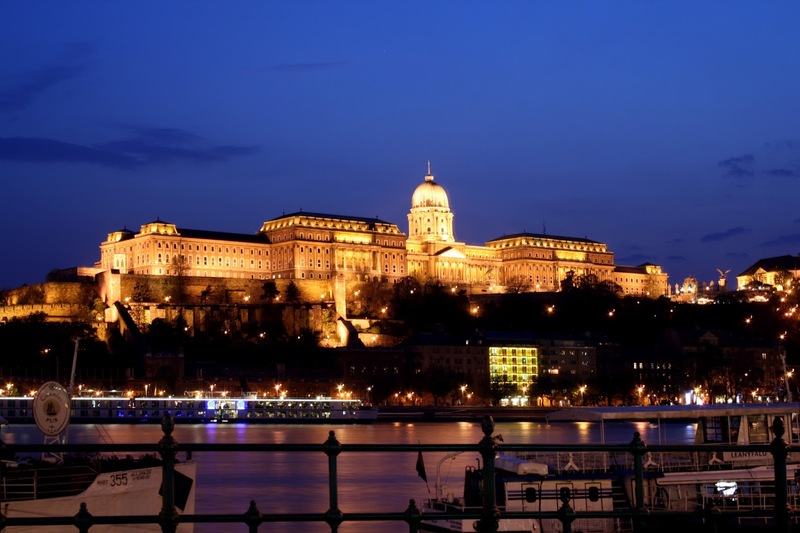 Which European river cruise is right for You? As you can see, I have barely scratched the surface of capturing all of the exciting destinations that river cruising offers. I've only mentioned some of them along three European rivers and we haven't even discussed Portugal's Douro, Ukraine's Dnieper, Russia's Volga, Italy's Po, and France's Rhone with its splendor of Provence—all offer even more scenic journeys and yes, in the span of just one week! But how do choose from among all of the twinkling stars in the heavens? That's not an easy question to answer! Is it a visit to the enchanting villages in Germany that appeals to you? 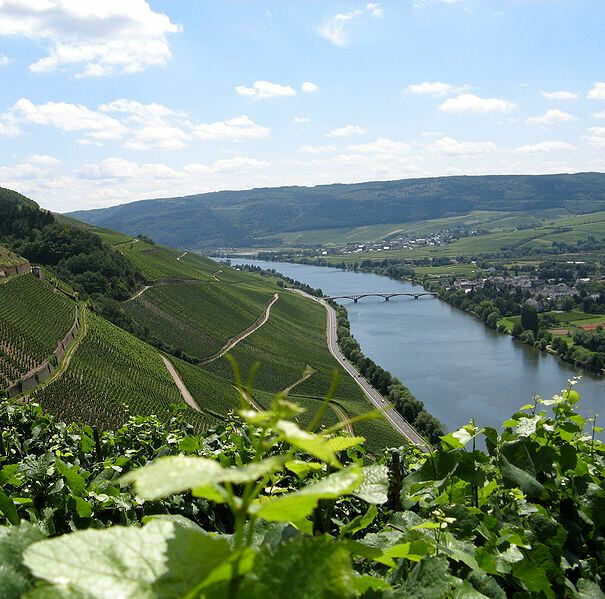 Or perhaps a wine tour through idyllic settings of the Moselle? 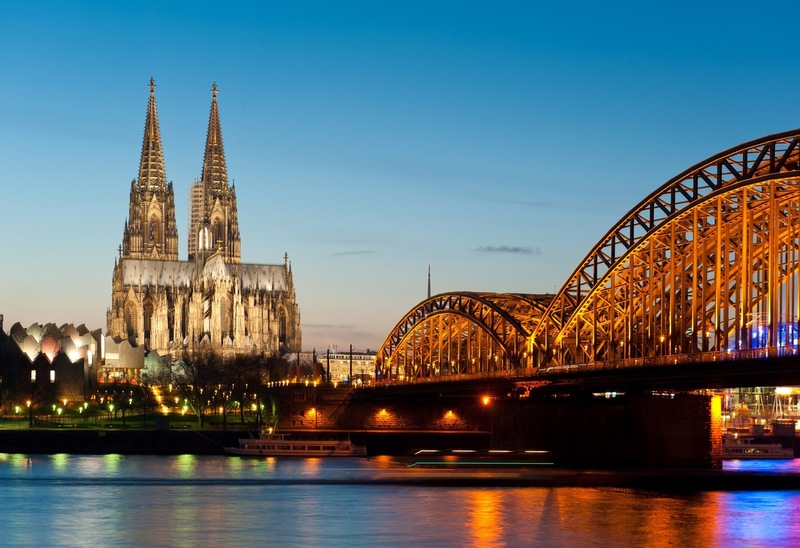 Perhaps a Rhine Valley cruise through a valley of imposing fortresses and magnificent scenery? Listening to a Viennese concert or exploring ancient architecture? With a little guidance and the distillation of infinite online and printed brochures, destinations that pique your curiosity will suddenly surface above the clutter and before you know it, you're entrenched. Determine what appeals to you and visit multiple river cruise websites where you'll find informative and very pretty videos, day-by-day itineraries and a range of cruises spanning from eight to 50+ days. Imagine! Medieval half-timbered architecture of the village square in Cochem, Germany. Viking River Cruises' "Viking Odin" lobby. Intimate atmosphere onboard these river-going vessels with most ships carrying just 130 – 190 passengers—a striking contrast to the ocean megaliners sailing with 4,000 passengers or more. Convenience of unpacking ONCE yet exploring multiple countries in a single week. All meals, including beer and wine, are included with lunch and dinner. All excursions are included in the price of the cruise. The ship docks only steps away from Europe's most celebrated and historical cities without having to worry about transportation and hotel logistics. And at the end of the day, you stroll back to the ship and away you go on your next adventure. 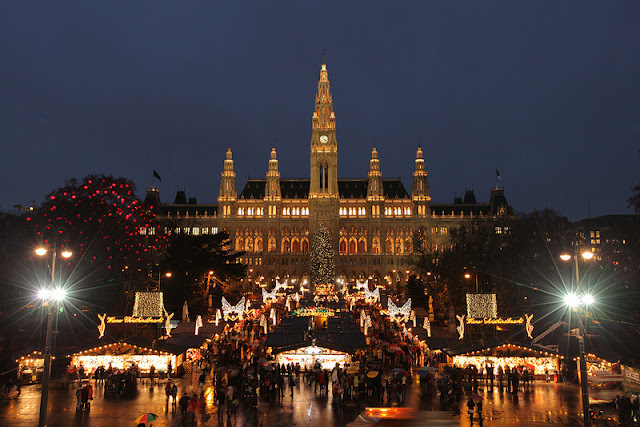 Vienna at Christmas! 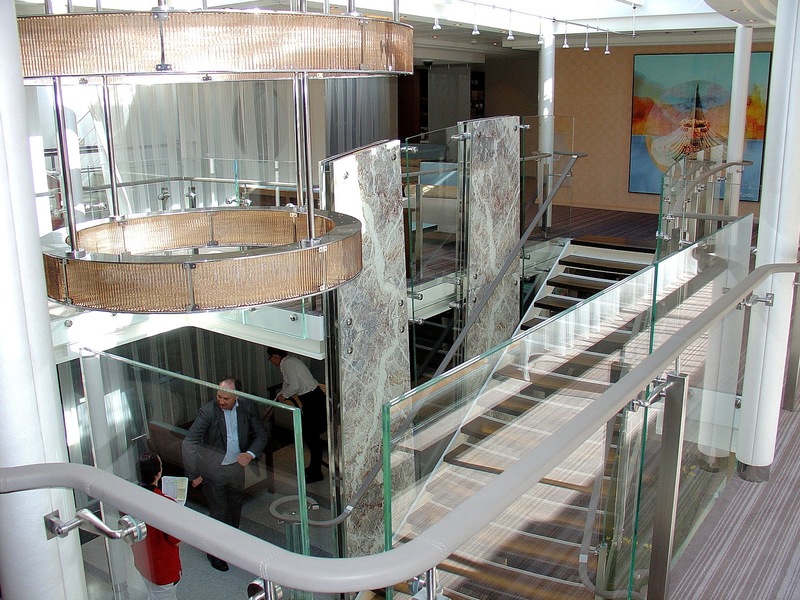 Photo: Property of Viking Cruises. Unauthorized use is prohibited. Speaking of next adventures, this December, I will once again be sailing with Viking River Cruises and waltzing down the Danube River on their "Danube Waltz" cruise through Germany, Austria, Slovakia and Hungary and the best part is that in addition to experiencing all of these places for the first time, the cruise sails when Europe is donning its holiday best—adorned with twinkling lights, enchanting Christmas markets and oh the scrumptious food that awaits, not to mention glühwein to warm my frozen bones! Be sure to follow along as I continue my "In Search of Christmas" series this December. Have you been on a river cruise? Please share your journey with me. Wonderful that you'll be on the Danube Waltz cruise! I've seen some of these fabulous places and would love to see them again. Looks like an ideal itinerary on this cruise. Hi there Cathy and thank you so much for stopping by to share your thoughts!! I am really looking forward to my waltz down the Danube!! So beautiful! Would love to sail the Danube! Hi there Charu and thank you so much for stopping by! Hope you have the opportunity to sail one day soon!! The stuff that dreams are made of, Jeff!! The Viking Odin looks absolutely marvelous. Would love to drift along, viewing Europe through my very own private picture window! Hi there Lesley! I love you you describe it as the "stuff that dreams are made of!" It so perfectly describes the voyage that I am about to embark on in a few months, not to mention all of these voyages in this article and beyond! Thank you so much for stopping by to share your thoughts!! This is fantastic! Getaway on cruise is dream come true for many individuals. This kind of holiday getaway is perfectly worth the money. Hi there Mags!! I couldn't agree with you more!! Thank you so much for stopping by and sharing your thoughts! We've cruised many times but have yet to try river cruising. I would love to cruise any of these rivers one of these days. Gorgeous scenery and pictures. I love your first picture of the Parliament building. We met many of the river cruisers at our hotel in Prague last month. We were so jealous after talking with them. Hi there Mary! Yes, you must experience River Cruising my friend!! 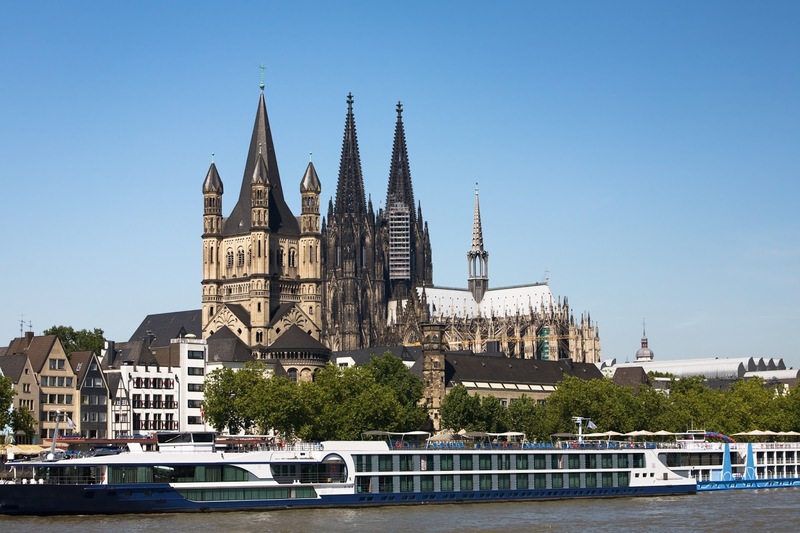 It's a fabulous way to tour Europe and see multiple destinations in a single week!! I can't wait for my cruise in December. It will be my first week-long cruise with Viking and I am over the moon about it! Thank you so much for stopping by to share your experiences! I dream of a European river cruise nearly every day - I'm just trying to convince myself that it can be family-friendly! Cruising the Danube during the holiday season would be incredible - can't wait to follow along on your trip! Not sure if it's really "family friendly" however, Christmas is a special time and I am sure the kids would love it. Thank you for stopping by my friend and hope that you do experience it one day! Fabulous! I've only been up and down the Nile as far as river cruises go. Really must try a one in Europe soon. Hi there Sophie and thank you so much for stopping by! I bet the Nile was fascinating!! Wow!!! When did you go? Yes, Europe beckons my friend! That is so awesome you will be sailing the Danube in Christmas. Can't wait to hear about it and see the pictures. That is cool that you can sail through multiple countries and not have to re-pack all the time. I like to travel with my backpack and tool around the world and the states, but packing and unpacking does get a bit tedious. Hey there Ted! Thanks so much for stopping by! A Christmas market cruise has been a dream of mine for three years and it's finally coming true! I too can't wait for the journey and to share those experiences with you and all! I am thrilled at the convenience as well. While experiencing new resorts or accommodations every night certainly has appeal, and something I did in Norway; the one-time unpack and pack will indeed be a treat! This looks like an incredible trip. Despite living in Germany for over 3 years, I still haven't traveled by cruise. Hi there Laurel and thank you so much for stopping by my friend!! Perhaps I can bring you onboard for a tour when we FINALLY meet in December!! HI there Mike! Thank you once again for stopping by to share your comments! I can say that the entire Viking experience is amazing! You should definitely plan on it one day soon!! Thx so much for the compliments too!! Hi there and thank you so much for stopping by and for your kind words! Hi Ya Labby! Better? ; ) I just love to greet all those who spend time on my site and take the time to share their thoughts with me. It's a show of gratitude and each person who shares a comment deserves an enthusiastic greeting. Thanks for your comment too! Greetings Labby!! ; ) I can't thank you enough for all of your kind words and for stopping back so often! I really appreciate it!! This weekend, two new posts are coming your way: Lapland (Guest post) and my visit to the land of the "Sound of Music." You'll have to let me know what you think. Take care of yourself and thank you again for everything! I am truly honored! Cheerio Jeff! How are you today? Its Labby again(: I love looking at your blog everyday when I get back to my dorm! Seeing your big smile and amazing pictures always puts a grin on my face. I sometimes have to deal with bullies, give my unique name, but knowing that theres great people out there (like you!) and great places to visit helps me get through. I can't wait to get out of college, so one day I can travel the world and hopefully run a travel blog half as good as yours! Thanks for everything, Jeffie, and I look forward to new blog posts too! G'day Labby! Thank you so much for stopping by again and for all of your kind words! You just keep at those books my friend and you'll be done in no time. And then, you'll wish you were back in school again. Jeffie is fine...funny! Did you see my latest post on Salzburg? Thx again. Thank you again for your kind words. You know, you can comment on any of the articles rather than just this one. Also, great news about France!! Where are you going specifically? Lastly, I am so sorry about your brother but he's right, never stop chasing your dreams! Yello! Labby here, yet again. I'm aware that I can comment on any other articles, would you rather me do that? I just don't want other people knowing my personal business. I seriously consider you one of my best friends (online of course!). I wonder what you think of me? I am going to the Alps! Hiking for 3 weeks and I am going to blog my heart out!! Thanks for your kind words about my brother, Jeffie was amazing. Reminds me of you in some ways. He loved traveling and taking pictures. Sadly, he never traveled out of our home state Massachusetts before he... left us. So excited for this great adventure!!! Talk to you later, Jeffie. Hi again Labby. You know, you can send me emails at the address above: Jefftitelius@gmail.com. I think that's better than having a conversation here. Sound good? Once you send me email, I can delete some of these personal comments. Okay?